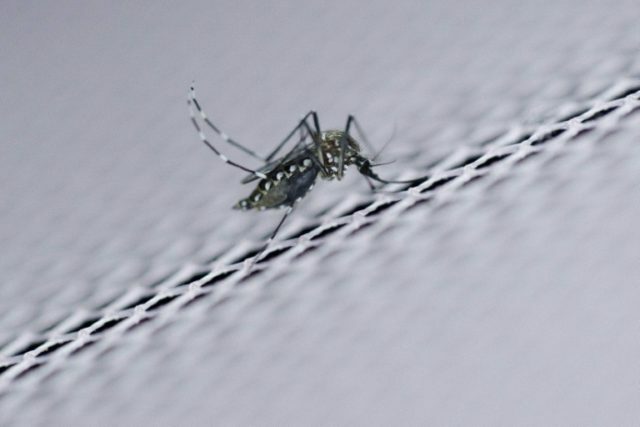 Paris (AFP) – Drought has sharply boosted the intensity of deadly West Nile virus epidemics, which are set to worsen with global warming, scientists reported Wednesday. “We thought epidemics would coincide with the most ideal temperatures for transmission,” said co-author Marm Kilpatrick, a professor at the University of California at Santa Cruz (UCSC). Birds are the main host for the West Nile virus, which is transmitted to humans by mosquitoes. The study also issued a warning: over the next 30 years, the number of West Nile cases in some parts of the country could triple as climate change provokes more frequent and severe dry spells, it found. West Nile virus — from the same family as yellow fever and Zika — was introduced into the United States in 1999. Since then, it has infected some 45,000 people and claimed about 2,000 lives, according to the US Centers for Disease Control and Prevention. Like Zika, the virus causes no symptoms in up to 80 percent of people infected. Others report fever, rash, body pain, headache, vomiting or diarrhoea. In rare cases, brain swelling and neurologic infections can occur, sometimes resulting in death. For years, epidemiologists have puzzled over fluctuations in the severity of the epidemics, which hit during the summer months. In some years, there have been only a few hundred severe human cases across the nation. In others — notably 2002, 2003 and 2012 — some 3,000 people suffered brain-damaging meningitis or encephalitis each year, and almost three hundred died. Variations from region to region were even more pronounced. Human immunity built up with the spread of the disease was thought to be a factor, but still could not explain the differences. Government scientists, essentially throwing up their hands, declared that predicting the size of future epidemics was too difficult, perhaps impossible. In the study, a team led by Kilpatrick and Sara Paull, also from UCSC, looked at the possible impact of weather variables: summer temperature, precipitation, winter severity, and drought. They were surprised to find that drought emerged as the main driver of more severe outbreaks of the disease. The study also showed that the impact was worse in regions that had not suffered large epidemics in the past, suggesting that people exposed to the virus had built up lasting immunity. Exactly how drought boosts transmission of the virus is still not clear. Preliminary data suggests the number of mosquitos during drought years does not increase, but that the percentage infected with West Nile virus does. The scientists speculate that drought conditions favour contact between birds and the mosquitos that feed off them — and pick up the virus in the process. A recent study showed that West Nile can turn deadly years after people have recovered from an initial infection. In one outbreak in Texas that killed nearly 300 people within three months, nearly as many died in the following decade due to complications associated with the virus.